All about healthy chicken skillets all three of these easy chicken recipes can be made in a single pan and that is what I am all about here maximum flavor minimum average am i right we're kicking things off with a really flavorful lemon pepper chicken and rice skillet in this recipe I'm actually going to be using some boneless skinless chicken breasts to keep it on the lighter side but you can really use any cut of chicken you wanted to it's really versatile. I'm getting started with my skillet heating up over medium-high on my stove to that I'm going to add a good drizzle of oil next I'm going to season my chicken breasts now you have two options here you can either use a lemon pepper seasoning that you can find in the spice aisle of your grocery store or you can make your own simply by combining some lemon zest a little garlic powder. Some salt and some pepper the secret here is just to go really really liberally with your spice because you want to make sure not only does it season the chicken itself but then it's going to infuse in the rice as well once your chicken is really well seasoned and your oil is nice and hot. It is time to get these into the pan chopped side down to start now that we've got our chicken upside down we're gonna season the other side because of course what happens on one side must tap it on the other and then we wait the reason we wait is because if you try to flip your chicken too early you will end up shredding it and that is bad news this is not what we're going for the sign that your chicken is actually ready to flip is when it releases really easily from the pan. So keep an eye out for that we're going to cook the other side for between two and three minutes until it's nice and golden and then we're going to remove our chicken from the pan and set it aside on a plate while we get to work on frying up some onions we're going to cook it for two or three minutes or until it starts to soften and then we're going to add a few cloves of minced garlic garlic lemon pepper you see where I'm going with this so good things happen. We're gonna get that nice and fragrant about 20 seconds or so to be plenty and then we are going to add our rice into the pan we're gonna toast up our rice in these beautiful flavors and then we are going to add our chicken broth you could do this with water but the flavor you get from the chicken broth it's always worthwhile of course this is a great time to season it with some salt and pepper and whatever. Cilantro Lime Chicken - juicy Mexican-inspired chicken marinated with cilantro, lime & garlic. 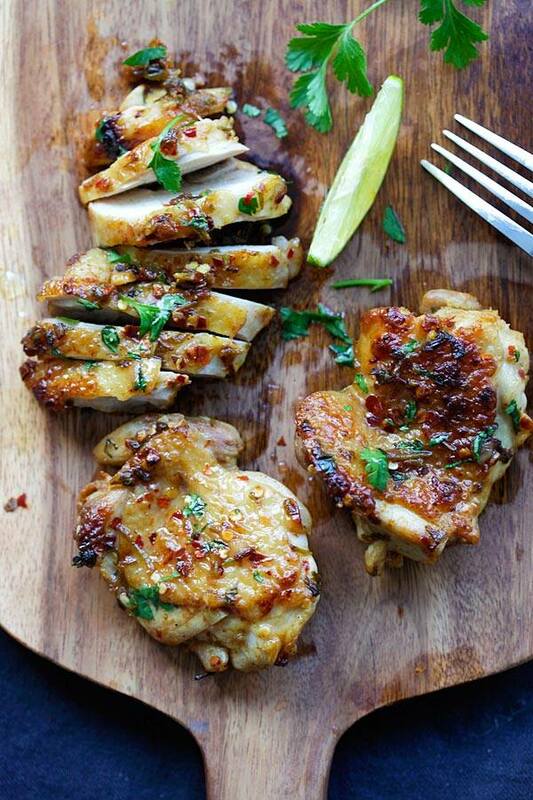 Pan-fry, bake or grill with this recipe. 1 1/2 S lb skin-on, deboned chicken thighs. This is the absolute must-have breakfast sandwich. 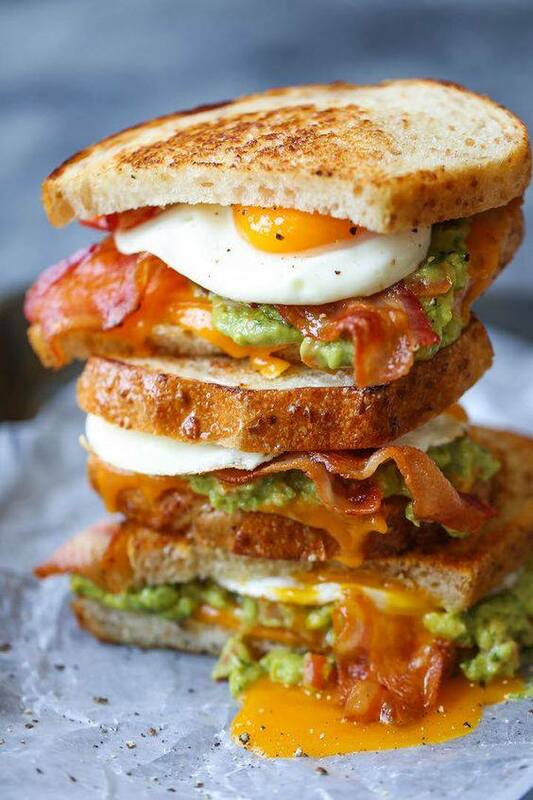 Crispy, buttery bread with eggs, bacon, guacamole and melted cheese! 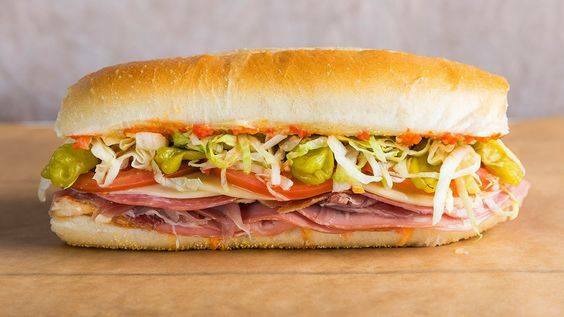 This Italian sub is loaded with cured meats, cheese and herbs, then smothered with a pickled cherry pepper spread and topped with oil and red wine vinegar. 4 Ways of cooking easy pastry ever. You never ever think the easiest ways of cooking. Let's see the best and fantastic recipe that everyone love. Don't forget to try at home. 2 sheets puff pastry ½ cup butter, softened 1 egg 1 cup white chocolate, melted ½ cup fruit cereal ½ cup sprinkles, assorted. 1. Preheat the oven to 350°F (180°C). 2. Cut puff pastry sheets in half, then use a rolling pin to roll each half out to 24-inches long x 8-inches wide. 3. Brush the puff pastry with the softened butter, then carefully roll them up into a tight log. Cut the log in half lengthwise. 4. Take each half and fold the smooth part of the dough inward to create a spiral shape. 5. Place spirals in a cupcake pan and brush the tops with egg wash. 6. Bake for 15 minutes on the top rack, then transfer to the bottom rack and bake for an additional 15 minutes. 7. Remove from the oven. Once cool, dip the tops into the melted white chocolate then the cereal and sprinkles. 8. Serve and enjoy. 2 sheets puff pastry ½ cup butter, softened 1 egg 1 cup granulated sugar 1 tablespoon cinnamon. 2 sheets puff pastry ½ cup butter, softened 1 egg ½ cup lemon curd ½ cup powdered sugar 1 tablespoon lemon juice 1 tablespoon lemon zest. PREPARATION 1. Preheat the oven to 350°F (180°C). 2. Cut puff pastry sheets in half, then use a rolling pin to roll each half out to 24-inches long x 8-inches wide. 3. Brush the puff pastry with the softened butter, then carefully roll them up into a tight log. Cut the log in half lengthwise. 4. Take each half and fold the smooth part of the dough inward to create a spiral shape. 5. Place spirals in a cupcake pan and brush the tops with egg wash. 6. Bake for 15 minutes on the top rack, then transfer to the bottom rack and bake for an additional 15 minutes. 7. Remove from the oven. Once cool, cut out the center of each cruffin and fill with lemon curd. 8. Combine the powdered sugar with the lemon juice to make a glaze. 9. Drizzle glaze over each cruffin and top with lemon zest. 9. Serve and enjoy. 2 sheets puff pastry ½ cup butter, softened 1 egg ½ cup raspberry jam 8 raspberries ½ cup powdered sugar. PREPARATION 1. Preheat the oven to 350°F (180°C). 2. Cut puff pastry sheets in half, then use a rolling pin to roll each half out to 24x8-inches strips. 3. Brush the puff pastry with the softened butter, then carefully roll them up into a tight log. Cut the log in half lengthwise. 4. Take each half and fold the smooth part of the dough inward to create a spiral shape. 5. Place spirals in a cupcake pan and brush the tops with egg wash. 6. Bake for 15 minutes on the top rack, then transfer to the bottom rack and bake for an additional 15 minutes. 7. Remove from the oven. 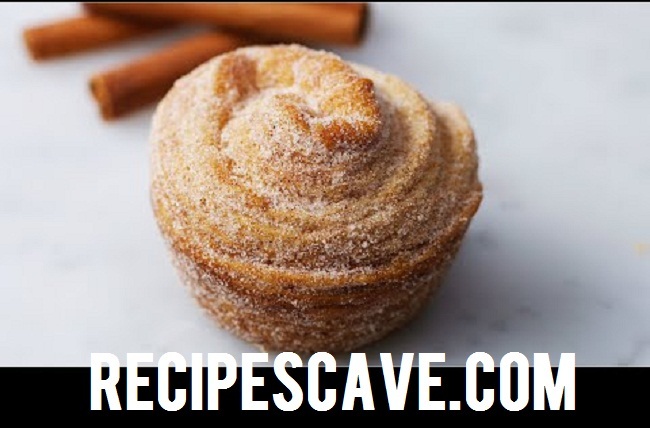 Once cool, cut out the center of each cruffin and fill with raspberry jam. Top with a raspberry and sifted powdered sugar. 8. Serve and enjoy. This a lovely and easy to make recipe, any in season vegetable can be used, when I made this I had eggplant from the farm, tomatoes and cucumber it also works well with squash and I bet pumpkin would be fun. slice the onion, vegetables and add to a baking foil lined baking sheet, add a little olive oil, vinegar, garlic and salt and pepper and roast for 10 minutes until soft. open a can of chick peas and add to a large bowl, then add the roasted vegetables. meanwhile mix the lemon juice with the olive oil and fresh herbs. add to the chick peas and finally mix in tomatoes and cucumbers. 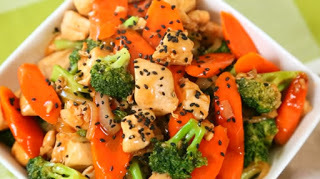 This would make a healthy snack or packed lunch or a side dish for a meal. About 6 months ago I started selling edible flowers that I grow on our farm I have always loved edible flowers and even used them in recipes on this blog at times like this Saffron Mango Lassi, Flower Power Salad and this recent Summer squash caprese salad. On a facebook conversation with a famous local chef, I asked if he needed greens or flowers for the restaurant and he replied that the only flowers he buys are edible. This started me thinking and over the months I have had so much fun growing different seasonal edible flowers and selling to local restaurants and bakeries. I have learnt when best to harvest and how to store and deliver to ensure freshness. As a solo farmer I quickly learnt its hard to grow enough produce for farmers markets and so many are doing this well locally. We also have a few chickens that we enjoy I thought I would be able to sell eggs, I have here and there but you really need lots of chickens to do this also their production goes up and down with the seasons. Now they have been molting and laying a lot less. If you follow Ladybird Farm on facebook or Instagram you will see we have a fun selection of chickens, all different breeds and sizes we got the first hens from my daughters class and raised them from chicks these have had babies themselves now. What fun to see them go broody and hatch little chicks. I made these shortbread cookies with the kids recently and we decorated them with pressed edible flowers. I have pressed a few to extend shelf life as the season is winding down now and to be honest will more than likely end after this weekends frost. 1/4 cup of confectioners sugar to make a light icing to stick on the edible flowers. pressed edible flowers, viola work great be sure to use only pressed edible flowers grown with no pesticides and herbicides organically. A simple flower press works great and it only takes 1-2 weeks in the press. once the cookies have cooled, mix confectioners sugar about 3 tablespoons with about 1/4 cup of water to make a light icing. coat the cookies with the icing and decorate with the edible flowers. These would be wonderful for the holidays. Also kids love helping make them. Have a wonderful Thanksgiving and thanks so much for stopping by.